As mentioned a thousand times already, horse shopping is like dating, but with a lot more costs up front. There’s a real attempt to be logical and make the right choice for yourself and your goals, but it’s also an emotional journey of discovering what you “click” with and what exactly makes your heart go pitter-patter. Foster as seen in his sales ad- I mean, how cute was he? The horse I did the PPE on definitely made my heart go pitter-patter, but in the end he wasn’t the logical choice. I still get sad about him, and I admit, I’ve even taken to hiding his posts from my newsfeed. I told my husband the other night that it feels like a breakup- I was committed, in it for the long run as they say, but apparently it wasn’t meant to be, and it still stings to see him. Pathetic, I know, but there it is. 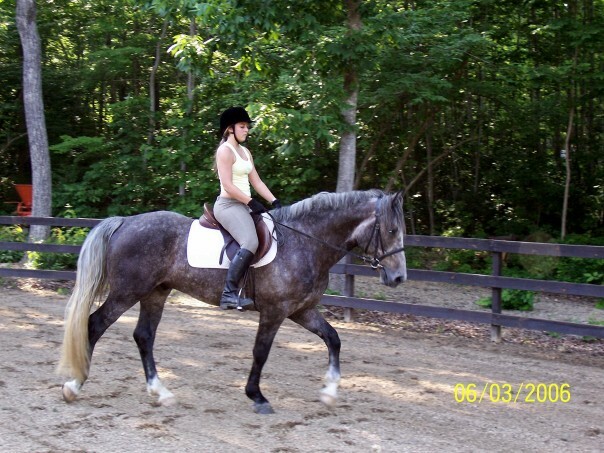 My first real ride on Ivan, during which I became entirely twitterpated. So blogosphere, I want to know- for those of you that made the big jump, that signed the check and brought a new beastie home- what made you make the commitment? What logical details made the horse a good fit? What it factors made it a good connection? I am LOVING your posts lately- so much food for thought! Frankie was a love at first step guy- he was exactly my kinda ride. Forward without getting strong, forgiving to the jumps, athletic. Then when I got to handle him on the ground he was super affectionate and easy going. He checked all the boxes my trainer and I had discussed, but really it came down to the fact that I felt SAFE on him as soon as I swung into the saddle. I don’t know what I would have done if the vet had given the thumbs down, but luckily he just said “man, I want this horse” haha. I know what you mean about that SAFE feeling. I sat on one like that was it was such a pleasure, unfortunately his personality on the ground just wasn’t quite what I had in mind. Nothing bad, it was just that emotional connection that I didn’t have with him. I probably should have tried more but I had just given back a lease that didn’t work-he started to really scare me. So I bought the next one that didn’t. He’s hot-most Anglo-Arabs are-but not to the point of hurting himself in fear like the leased one was. He’s not very affectionate though and likes to test you, which I’m not used to. My others have been hot and more sensitive and would spook but not try to get away with things. There is not much worse than having a horse that scares you!! We’ve had our ups and downs, but Courage was exactly what I needed at the time I got him. Price was right, brain was right. We’ve certainly had our challenges since then and I wouldn’t recommend my particular shopping method to everyone, but it worked out. Hey, price and brain are a big deal. I keep having to remind myself about that former aspect, though. Interesting to think about. With Annie I knew that I would be taking a risk with something off the track but she seemed like a pleasant enough mover and was said to be sane. Her PPE was pretty extensive as I didn’t want to bring home a problem that I would be unable to resell should we not get along. 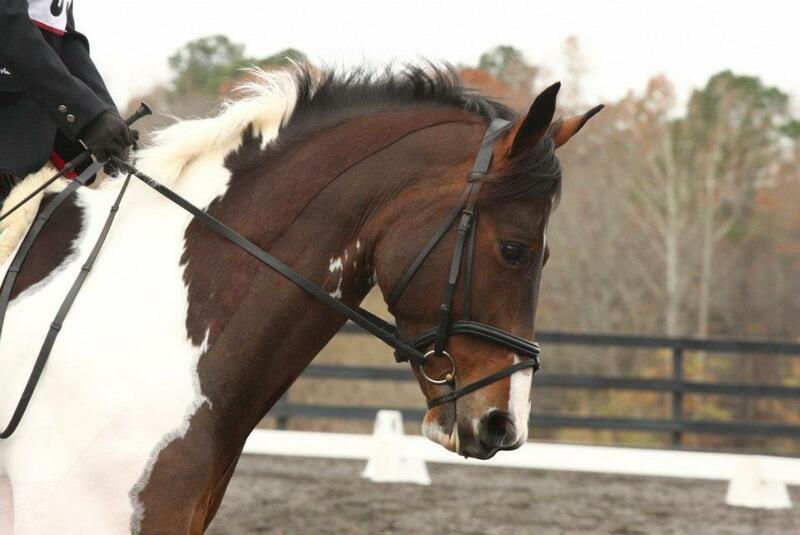 Buying a horse with a bigger budget and more training expectations is definitely trickier. Ugh- yes. Now that I know so much more than I did 6 years ago with Foster, and have a little more dough to work with, it’s made the buying process so much more complicated! Eli is not the best example of horse shopping, as I wasn’t in the market when I bought him and had been “test” riding him for a few years. With other horses, I shopped with a trainer’s guidance, and wound up with really nice horses for me. Relying on a professional while shopping for horses isn’t something everyone can do, but I unequivocally recommend it. I’ve been very fortunate to have a vet that’s invested in helping me find the *sound* horse I’m looking for, and a trainer that will watch the occasional video and tell me if I’m delirious. It definitely is helpful to have a team behind you! SAFE can really not be overrated. The day we took Miles on trial, he came home, sat in a stall for 15 minutes before I pulled him out and had a lesson. We jumped bigger than I jumped in months, hacked all around outside the ring and THAT sealed the deal. No matter what compromises I made, it felt right. Do you have a type? Tracy recently wrote a post on “types” (I’m not clued up enough to post links in my comments on my cellphone!) and I’m struggling to spot your type – except they’re all outrageously handsome geldings! I was 200% opposed to my parents purchase of Oscar. He was the only horse I flat out said no to. They purchased him anyway and after he broke a few of my younger sisters bones (freshly backed 5y/o as a first pony – called it!) I took the ride on him out of pity and we clicked. Emotional connection is just as important as logical reasoning with horses, you’re so right! I’m enjoying your horse buying journey, very excited for you to find your next dreamboy(girl) for your sake, but it’s such fun for a reader! No link necessary, completely missed Tracy’s comment above mine! Whoops! Hey, a pretty face can’t hurt!! Lately I’ve just been given horses ?? My main mount Ries I got 7 years ago as a teenager that my mom bought for me. 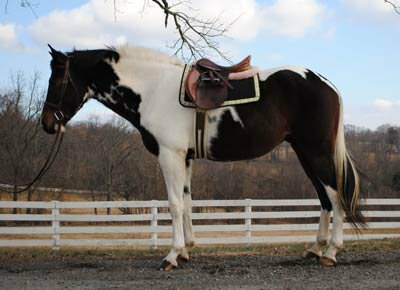 Our personalities just clicked and even though he had offers on him the owner still felt obligated to show him to me. And well, she knew I was his pick. I fell in love with Baby Z from the moment he was born and somehow successfully adopted him as well. I have two others on my radar, I need blindfolds! The best horse I ever owned, I loved from the very first second I saw her. And all she was doing was waling off a trailer. I still miss that horse. Everything since then has been “logical” decisions and shopping with real goals and all that Jazz. And I’ve never found a horse I liked as much. These posts have really made me question my next horse. Thank you for them.